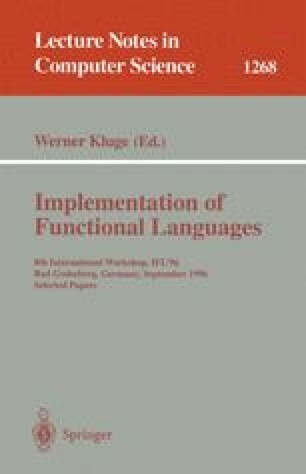 The functional concurrent language Eden is an extension of the lazy functional language Haskell by high level constructs for the explicit specification of dynamically evolving process systems. It employs stream-based implicit communication. In this paper, we describe how Eden can be implemented on top of Concurrent Haskell, another concurrent extension of Haskell. This implementation provides valuable insights into the relationship between the two languages. Furthermore, an outlook on the parallel implementation on a distributed memory system is given. The authors are supported by the DAAD (Deutscher Akademischer Austauschdienst) in the context of a German-Spanish Acción Integrada.